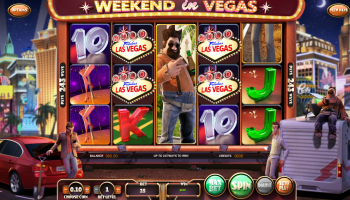 WEEKEND IN VEGAS features three memorable characters heading out for a trip to the Capital of Second Chances for their own chances at winning big. 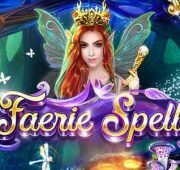 These hapless young men feature strongly on the reels and in the Bonus Round, where each of them has their very own play style – high risk, balanced and cautious. WEEKEND IN VEGAS features three memorable characters heading out for a trip to the Capital of Second Chances for their own chances at winning big. 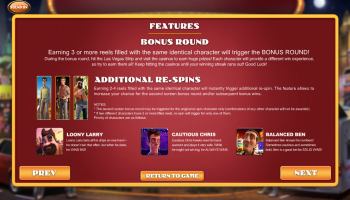 These hapless young men feature strongly on the reels and in the Bonus Round, where each of them has their very own play style – high risk, balanced and cautious. 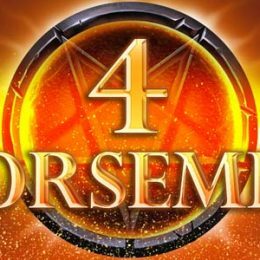 Other bonus elements include generous Scatter Pays, a thrilling Money Wheel and Wilds that offer up to a 2x multiplier on wins. 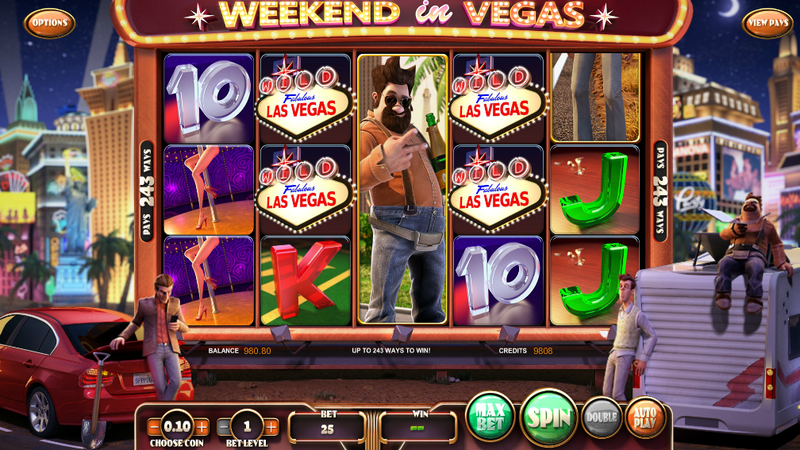 If you were into the famous comic film The Hangover, get ready to sink your gambling spirit into Weekend in Vegas! 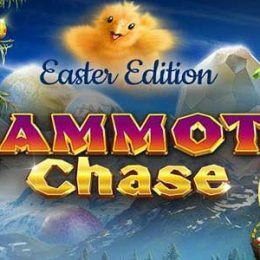 The Police Car symbol is the Scatter and hitting 2 to 5 of these will earn you a reward ranging from 50 to 250 coins. 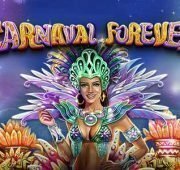 On top of that, 3, 4 or 5 icon hits will earn you 8, 12 or 20 Free Spins in addition to your initial coin payout! 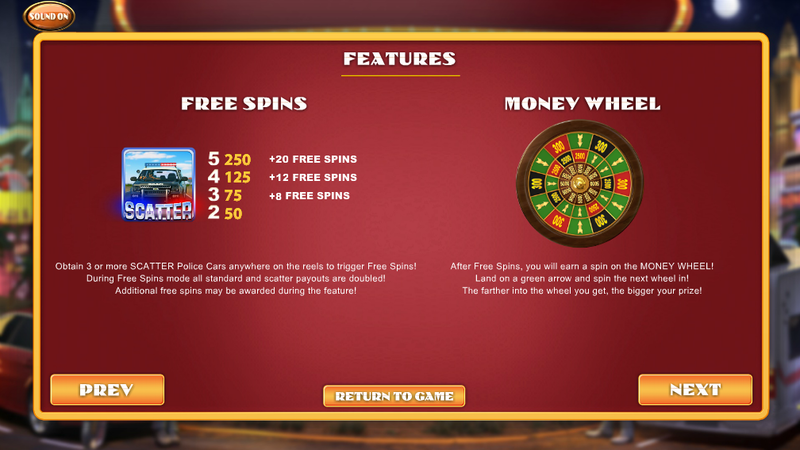 During the free spins mode, all scatter payouts are doubled. 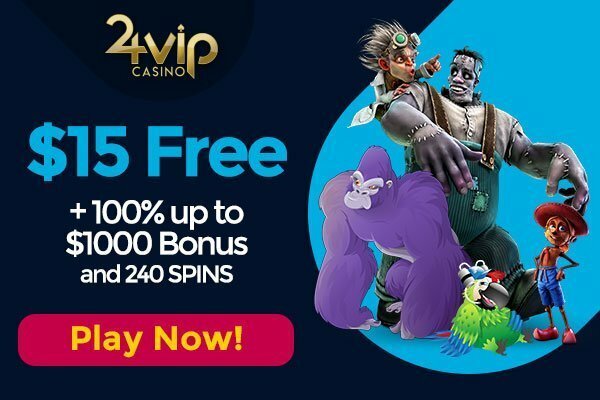 Not only that but Free Spins can be retriggered! 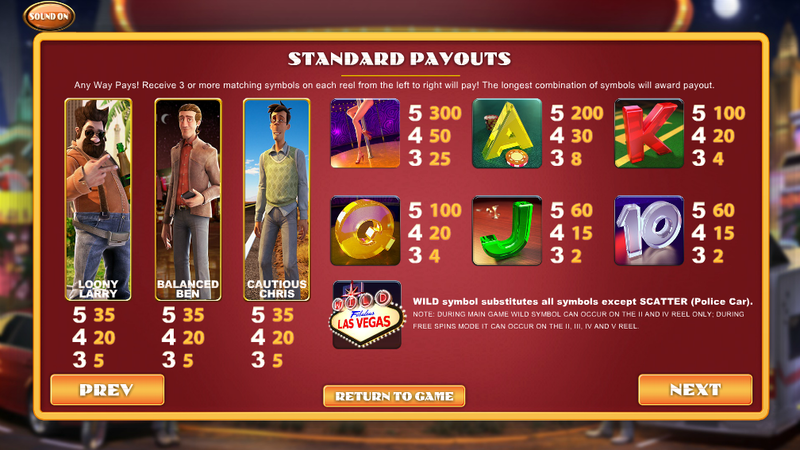 A trip to Vegas isn’t complete until you’ve taken a spin on the Money Wheel Bonus Feature. 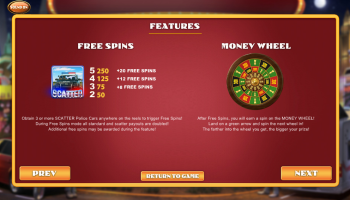 After Free Spins, you will earn a spin on the Money Wheel. If you land on a green arrow and spin the next wheel in. The further you get into the wheel, the bigger your prize! 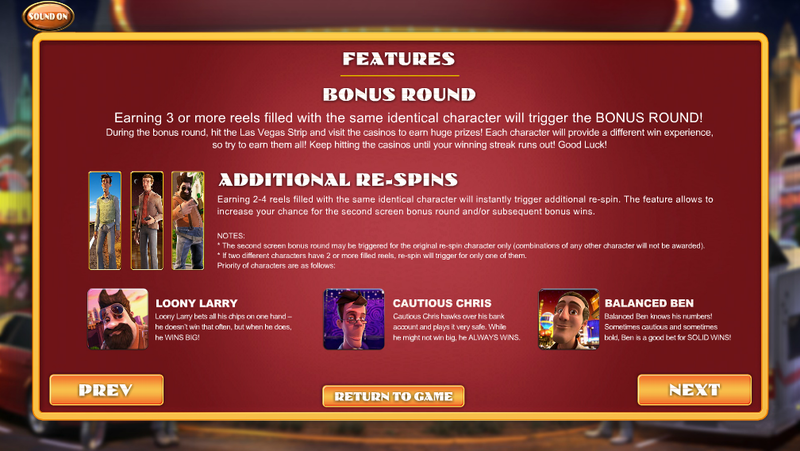 The Bonus Round features the games three zany characters: Loony Larry, Cautious Chris and Balanced Ben. 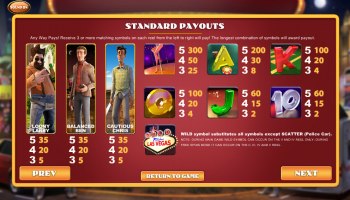 Earning 3 or more reels filled with the same identical Weekend In Vegas slots character will trigger the Bonus Round. 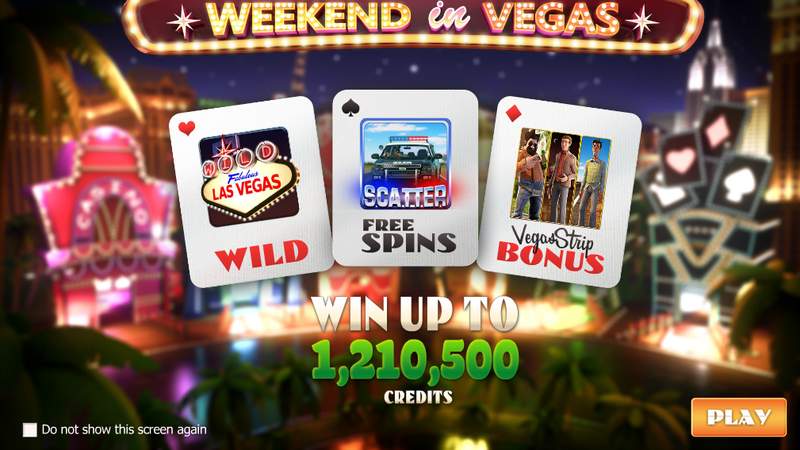 During this round, hit the Las Vegas Strip and visit the acsinos to earn huge prizes. 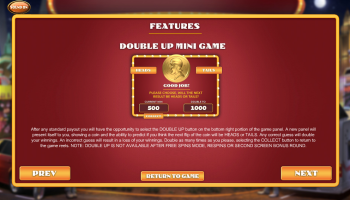 Each characater will provide a different win experience so try to earn them all. 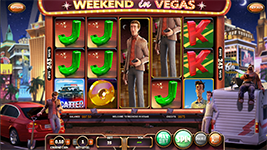 Keep hitting the casinos until your winning streak runs out! 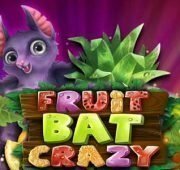 We hit the Cautious Chris Bonus Round on only our second spin on this game and got taken to the Las Vegas Strip Bonus Round. 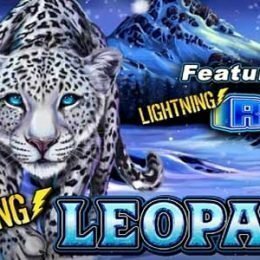 We were presented with 6 amazing looking casinos but only made it through 2 before the bonus round. Still we picked up an extra 150 coins and it was only our second spin! 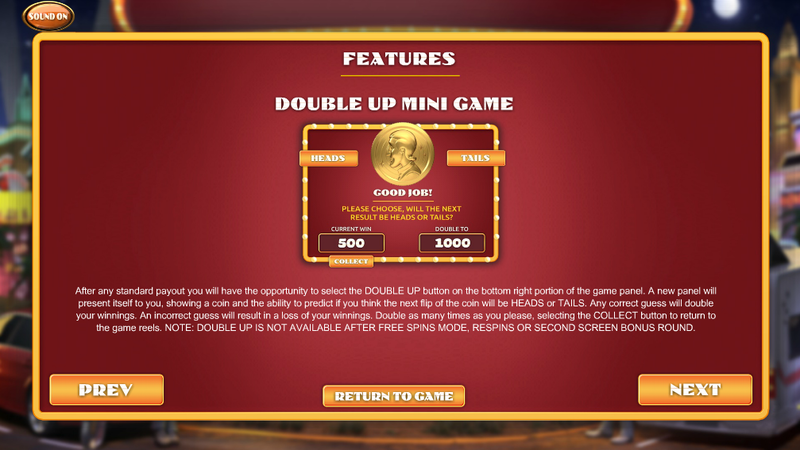 After any standard game win, you will have the opportunity to double up your winnings by hitting the Double Up button in the bottom right of the game panel. 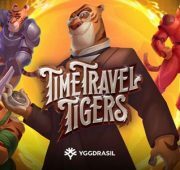 This is a quick way to earn some extra winnings on top of your base wins!